While it was once a relatively niche interest, the concept of watching people play video games has started to expand to a widespread mainstream activity. It sounds almost too crazy to be true, but one only needs to look at the most-subscribed channels on YouTube to figure it out. More than a handful of the top 20 channels are exclusively dedicated to streaming video games. Of course, it’s not as simple as just uploading videos of you playing popular video games. People come for the experience! That means that most of the popular footage revolves around the gamer’s commentary on the gameplay as much as it does the gameplay itself. You could consider a lot of these channels to be video-game themed podcasts, essentially. And if you want to get paid for basically playing games like these guys, all you need to do is stream as you play. Once upon a time, gameplay footage online mostly revolved around “walkthroughs”. Essentially, this would mean that a gamer would record themselves doing something difficult or hidden on the game, so that other gamers could watch it and then do those things themselves, like a tutorial. 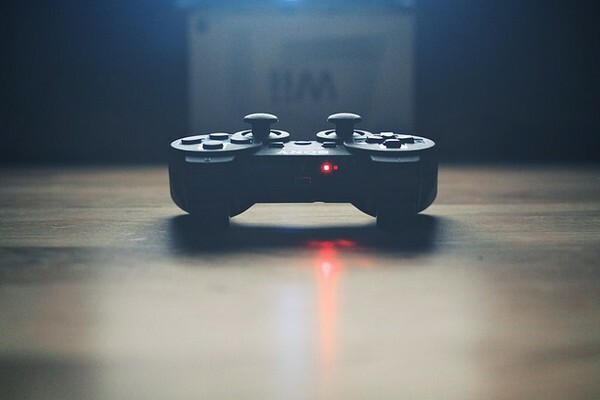 These knowledge-based videos eventually evolved into the ‘Let’s Play’ phenomenon we know today, with famous and unknown people alike all broadcasting videos of themselves talking and playing a variety of games. As YouTube’s monetization started to take off, many people actually built careers on this– careers that are now threatened with YouTube’s flippant copyright-removals. So what were people to do, with an eager audience, but an unreliable platform? 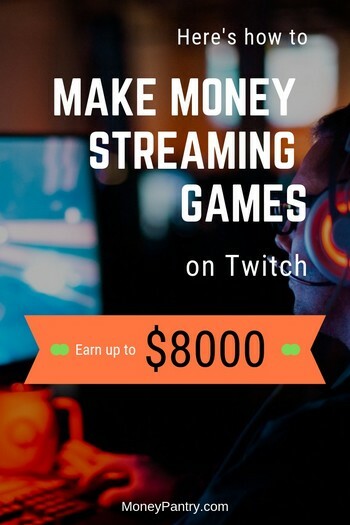 Enter TwitchTV, a service dedicated to letting gamers stream their gameplay, connect with audiences, and get paid while they do it. Twitch exploded onto the scene with a phenomenon called “Twitch Plays Pokemon“- An experimental playthrough where the people in the chat were allowed to control the game (all at once, simultaneously). Hundreds of thousands of people showed up to watch and join in; it was crazy, it was chaotic, and it was iconic. While Twitch existed before that, this really put them on the map. 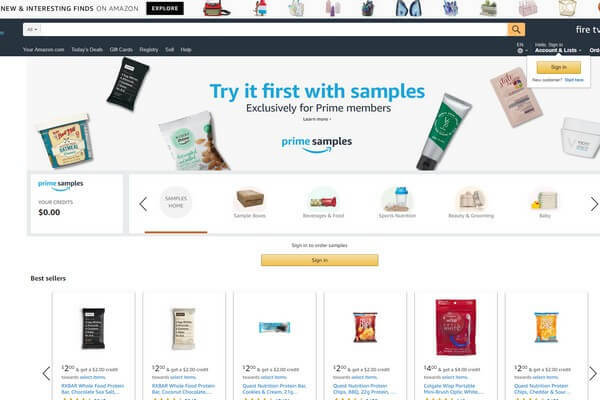 Shortly after, Twitch was purchased by Amazon for nearly a billion dollars (a clever move by Amazon to get in on that gameplay-streaming ad money that YouTube was hogging). Now Twitch is nearly ubiquitous, enjoying a meteoric rise towards the top-5 websites on the entire internet. Their net worth and their audience grow every day. So How Does Streaming Games Work on Twitch TV? Let’s start with a basic overview of streaming and how it works. You are probably familiar with the concept of streaming by now, but just to recap: streaming means providing a live feed of the game that you’re playing, essentially like broadcasting your computer or TV screen. While this was once an ability enjoyed only by PC users, the options have now been expanded to video game consoles as well. This live feed goes on while you play, you’ll need to learn to talk! Next to this video stream are two things: the footage of the game being played (in real-time) and a smaller, picture-in-picture video of the gamers themselves. The gamer narrates their gameplay as they go, which is where a lot of the art comes in; if you get quiet and determined a chat box where viewers post comments in real-time. This is how they connect to you, the gamer. Unlike YouTube, where videos are made, edited, and posted, Twitch is a person-to-person connection in real time. Twitch streamers relate to each of the people, and ideally, communicate with them during streaming. This is the most basic and most profitable way of monetizing your game streaming channel. In this case, you let Twitch play ads on your channel, they take their cut and pay you. It’s simple and clean but won’t pay big dollars unless you have a lot of viewers. Believe it or not, people do actually pay you to watch you stream games while you play! This is what makes the Twitch platform fairly unique – users can put money in your “tip jar” which causes a small notification on-screen. You might call this a double-edged sword. On one hand, charming streamers can see huge chain reactions of donations come in, which is great. On the other hand, you have to find a way to act graciously for every single donation, lest the donator feel cheated (and that’s harder than it sounds)! The final method is subscription. Just like you would pay for a magazine subscription to keep getting it (although there are ways to get free magazines subscriptions without paying! ), here the viewers subscribe to the channel for a small fee. Essentially, this means that a donor will pay a small fee to subscribe to you, usually about $5. In return, you can post videos to a special “Subscribers Only” section of your channel. VIP content, essentially. Subscription is pretty great but by far the least common way to get paid on Twitch. OK, make sense so far? Let’s get into what you need to do Twitch streaming. The equipment you need is largely dependent on what equipment you already have. A fairly strong PC (generally, in-box, prebuilt computers won’t be strong enough) OR a modern video gaming console. PS4s and Xbox Ones are built with this streaming functionality in mind, and they’ll work just fine. Camera/Mic: You want (ideally) some kind of camera for recording your face/reactions. A microphone for the all-important narration factor. And a capture card (if you’re on PC). Capture cards are little devices that are dedicated to capturing the footage on your computer. No lie; the equipment end of being a streamer is a little bit of a pain. You need these things, and then you’ll need to configure them (luckily, there are handy guides on the Twitch site). Not great fun, but hey if you were ever going to do something tedious, wouldn’t it be for something dreamy like getting paid to play games? First, we just need to clear up some stuff about software. Twitch is a streaming platform, but it is not a streaming software. That means that there is no Twitch program to run on your computer for streaming – Twitch is just the place the video is sent to. You’ll need a software called Open Broadcaster Software. It’ll require a little one-time fiddling to get right; setting bitrates and other complicated stuff like that. If you’re not tech-savvy, DO NOT be intimidated! There are tons of guides for this stuff that will get you through, no problem. Don’t be misled to assume this is only for computer wizards! After you get that configured, it’s time to finish setting up the channel! 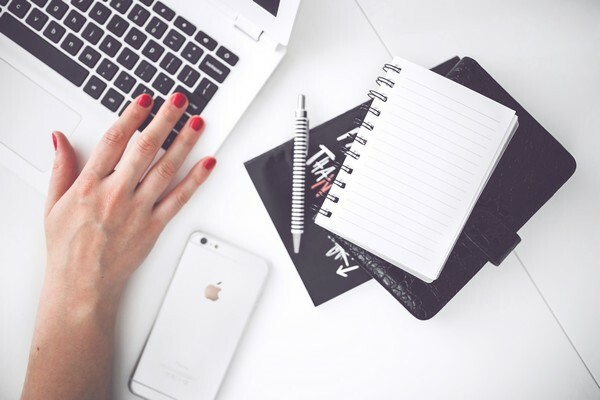 I won’t type up a huge guide about how to run a successful channel; there have been better ones written already, and more importantly, it would take far too much time to talk about. I’m just going to go over the setup really fast. This will be self-explanatory, and afterward, you get your ‘channel.’ Essentially an account like any other site, except it doubles as your video-streaming hub. The nuances here will vary depending on whether you’re streaming from PC, or from a console, but all you need to do is Google “configure Twitch stream” and you’ll be on the right track. A lot of lengthy, but simple steps that we won’t get into here. Take heart, though – I’ve got full faith that you can pull it off. Install and configure your broadcast software. Once you get your software synced up to stream to your Twitch, you’re ready to play. As I mentioned before, there are really three ways to get paid. From what I have gathered (while researching for this post) it seems like most game players/streamers make the most of their money through donations from people who watch their streams, followed by ad revenue and subscriptions. Now, this isn’t the case for everyone. You’ll generally earn about $2.50 per month, per subscriber. You can imagine that this builds up if you have huge numbers – that’s $250/mo for 100 subs – but it also assumes that you have huge subs. Like anything of this nature, your earnings will snowball with more and more viewers. You need to reach a certain amount of viewers before you can get subscribers, but the barrier to entry is pretty low. Advertisements pay you an estimated $3 per 1000 viewers. It’s true that this is a pretty harsh rate, but advertising on the internet is going through a bit of a dicey period, so the pay is what it is. You supposedly get paid more for subscribed viewers, but I couldn’t find figures on that. Consider that over half of your viewers probably use ad-blocking software, though, and you’re looking at quite an uphill battle getting paid via ads. I wouldn’t rule it out, but it’s not your cash cow. Now, donations: as mentioned above, they’re likely your most lucrative option. And they’re also quite tricky, in the same way that receiving donations from anyone tends to be tricky. You’ll have to be graceful here, or it will look pretty bad. I would advise thinking of the donation portion of the platform as something akin to street performing, or busking: you’re simultaneously being donated/tipped to, but at the same time, you are providing a service in the form of entertainment. Not strictly being paid, not strictly working. Something in-between. Try to stay light, gracious, and fun about it all – that makes people more comfortable engaging in the tipping, and you’ll probably feel better about it, too. A final note about making money: since Twitch is an Amazon subsidiary, they make it really easy to plug affiliate links into your videos/streams. This is a great thing that’s worth taking advantage of. If you have a dedicated following, try tossing out an affiliate link every so often. They’re fairly lucrative if people purchase anything off of them! Let’s wrap this up with an example of your projected earnings. Now, what you’re due to make on Twitch is pretty random in a true sense of the word, just like any internet-based work at home job or side hustle. You might make $20 in a month, you might make $2000, or even $8000 a month like this guy. It all depends on how you market yourself, your relationship with your viewers, and more than a little bit of luck. Just like you hear about the top YouTubers being multi-millionaires, so too can top Twitch streamers become very wealthy. How’s that for a day job? They’re outliers here of course, but a good example of the possibilities. You cash out via PayPal or Check, a few weeks into the following month, provided you’ve earned $100. Those extra weeks are just time for Twitch to do analysis and verify that your stream was being viewed by real humans and not bots. An inconvenient delay, but not a deal-breaker. In closing, the answer to the question “Can I get paid to play video games?” is a big fat YES! But that yes comes with an asterisk, because not only do you need equipment, you need to market yourself and gain followers, as well. A good Twitch following might take years to build up, but if you’re passionate, today is the day to get started. Twitch is becoming bigger and bigger with time. Few people go full-time Twitch, but tons more people use it as a source of supplementary income. If you’re already going to be playing games, why not socialize a little and get paid doing it!